In traditional Chinese, 清明節 falls in the third lunar month of the Chinese calendar, which is usually in the first week of April in the Gregorian calendar. The festival is very ancient, dating back in Chinese history around 2,500 years. 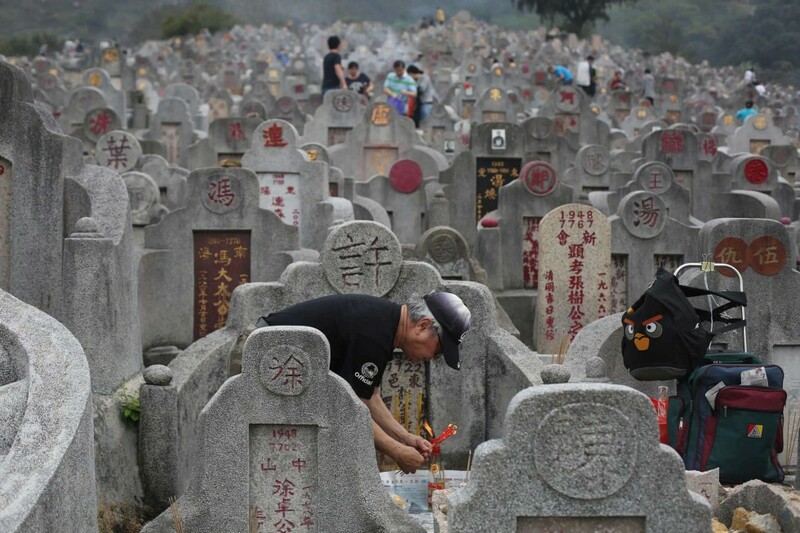 Ching Ming is known by other names also, for example: Festival for Tending Graves, Clear Bright Festival and Tomb Sweeping Day. These names quite accurately describe the theme of the Ching Ming Festival. 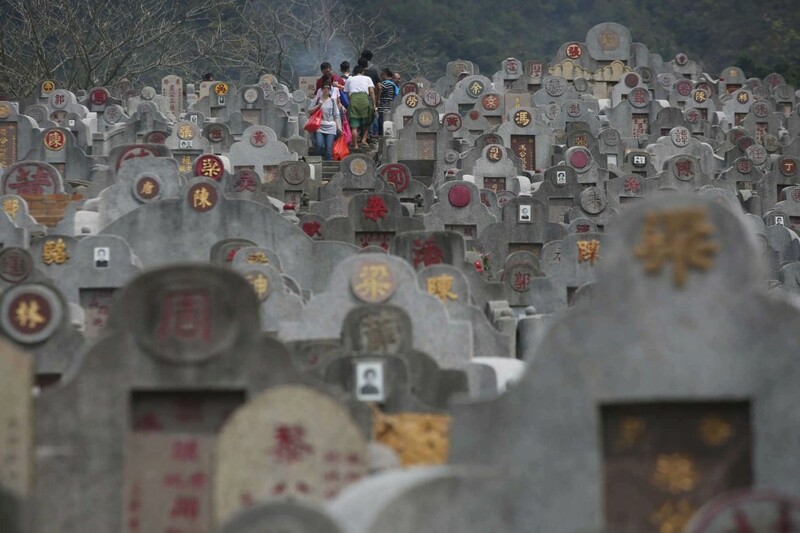 It is the day, and often the only day each year, when many families visit the graves and tombs of their ancestors. 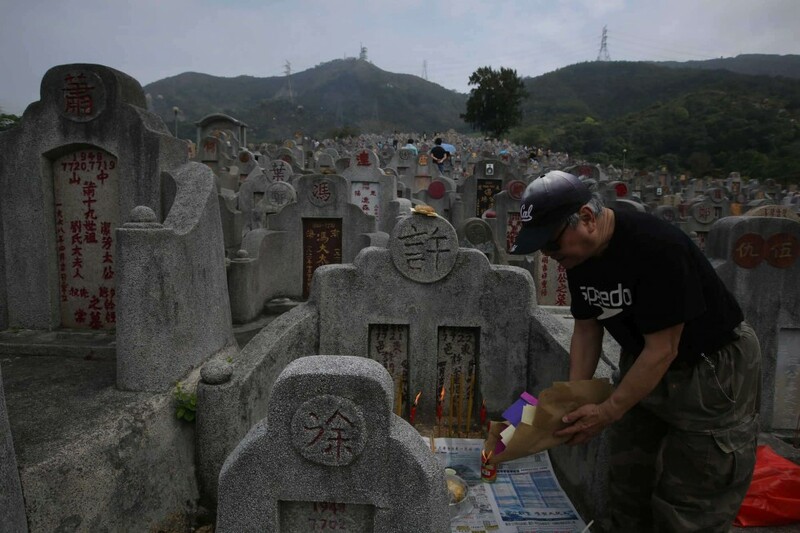 During the visit, they tidy the headstones, clean away grass and weeds, light incense and make burnt offerings, often of fake money but sometimes of paper effigies resembling valuable items. Food offerings are also made. The ceremony surrounding these involves the number three. Three bowls are often laid out with a set of chopsticks for each. The head of the family pours out wine on the grave then family members take turns to bow three times each to the headstone with their hands held together in a particular way. Following this, the food is shared together by the family in honour of the ancestor. 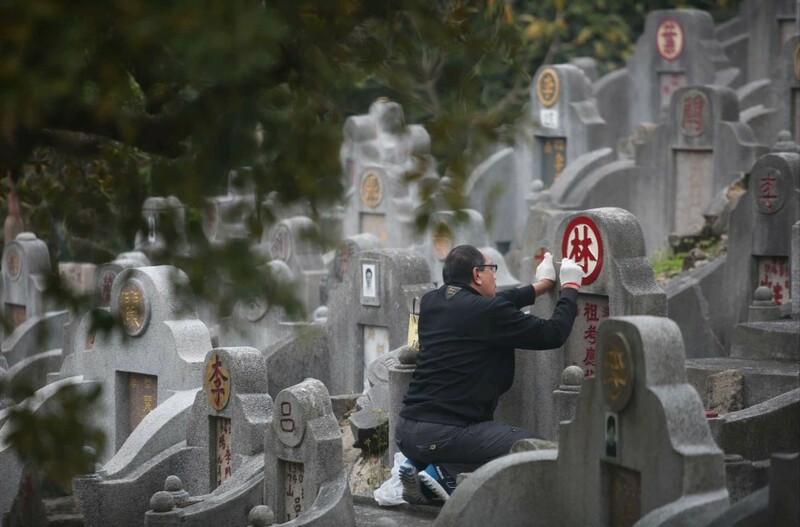 Some people are less traditional and do not go to the ancestors’ tombs on Ching Ming. Another tradition for this day is to fly kites and many couples begin their courting on Ching Ming. It is not only in Hong Kong that Ching Ming is recognised. 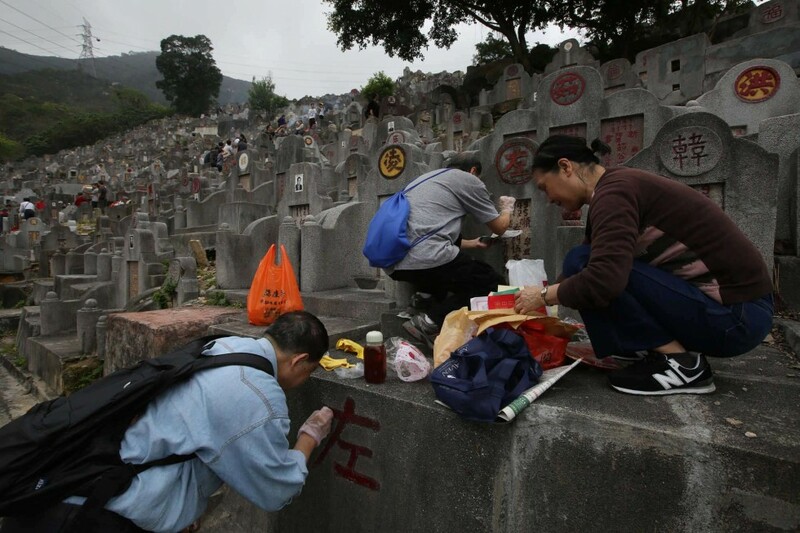 Chinese people all around the world use this day to remember their family ancestors, whether at a local tomb if there is one, or with a simple day of respect. Ching Ming is the first of the 24 annual ‘solar terms’ recognised by the lunisolar calendar, being at the 15-degree mark of the path of the sun each year. This is the first point after the vernal equinox. Qing Ming started during the Jin Dynasty with Prince Chong Er (697 BC – 628 BC). Chong Er lived among rivalry and betrayal as the princes and their mothers competed to get the throne. One concubine, intent on making her son crowned prince, murdered the first prince. Since Chong Er was second in place, he posed as the concubine’s next target. Jie Zi Tui, a loyal government official, feared for Chong Er’s life and so helped Chong Er escape from the Jin Imperial Court. Jie and Chong Er lived a difficult life after the escape from the imperial court. One time when they traveled to a deserted area and could not find any food, Jie cut off his flesh from his thigh and cooked it for Chong Er as food. The loyal official and the prince traveled and lived in harsh conditions three more years until the concubine died. After her death, they returned to the imperial court and Chong Er got restored to his rightful place a prince. Soon Chong Er became king. During his reign he awarded numerous people, but forgot about Jie. When he finally did remember, he sent Jie an invitation to court, but Jie refused. As a result, the king tried to force Jie out of his home by burning the mountain. Jie never left his home, showing that he would rather choose death over submission. The king realized his mistake and was filled with remorse. So in order to honor the Jie, Chong Er held a memorial ceremony for him every year. On that day, the people mourned for Jie and avoided using fire.